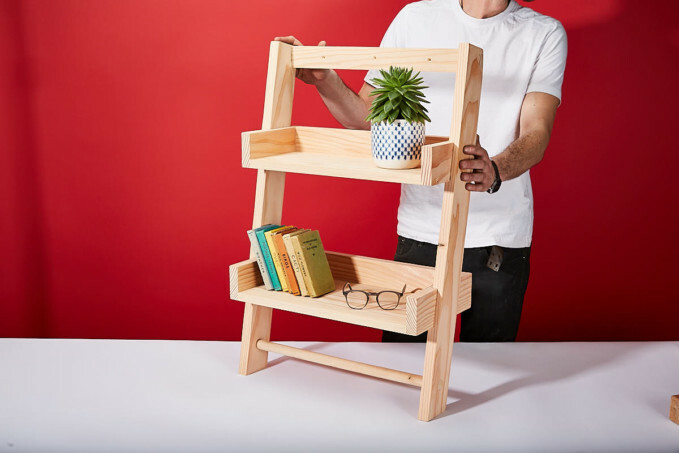 Over this six week evening course you will learn basic joinery techniques to construct and assemble this versatile hanging ladder shelf made from Douglas Fir. The design can be adapted to fit a specific spot in your home, including the opportunity to personalise your shelves, e.g. for storage of bathroom items, books or plants etc. The final session also provides advice on how to hang your shelf on the wall once you’ve taken it home. About Woodwork Basics: This workshop is one of our series for complete beginners. Each course introduces a different set of carpentry skills and an explanation of simple joinery and furniture-making techniques. They aim to get you comfortable with using a range of basic hand tools and techniques so you can get started in the workshop. Once you’ve completed these basics, you can move onto our follow up advanced series which takes these skills into the construction of more comprehensive furniture projects. This course will be led by Christina French who trained in carpentry and bench joinery at the Building Crafts College in Stratford. She has been a Blackhorse member for two years, and undertakes commissions for freestanding and fitted furniture using locally sourced timber. New dates soon to be announced.